It’s the week of the red and pink invasion. Hearts cut from paper doilies, boxes of chocolates, red roses – these are the classic images I conjure at the mention of Valentine’s Day. Depending on your view, V-Day may be a fun time to shower your loved ones with messages of “Be Mine” and “Love You,” or it could feel like a commercialized money-grab. My thinking is that any day that encourages us to show love in more obvious ways is not a bad thing, especially if we extend our thoughts and actions of love to the people who need it most in our communities. 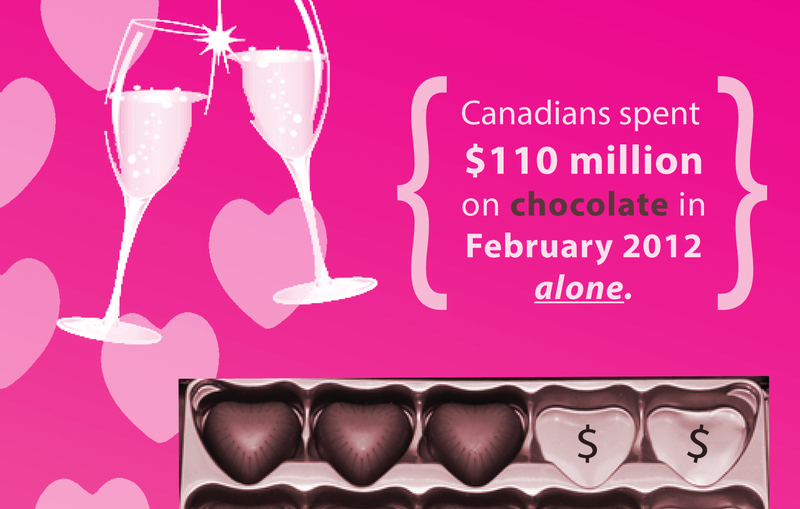 I put together the infographic below, inspired by a little statistic I discovered when researching how Canadians celebrate Valentine’s Day. Let me know what you think and feel free to share the image.